Savor those snuggles with this beautiful Crocodile Stitch Baby Blanket! It’s a lovely pattern and we’ve got the video tutorial to show you how. Check out all the details now. If you’ve never seen this stitch before, then get ready to fall in love! 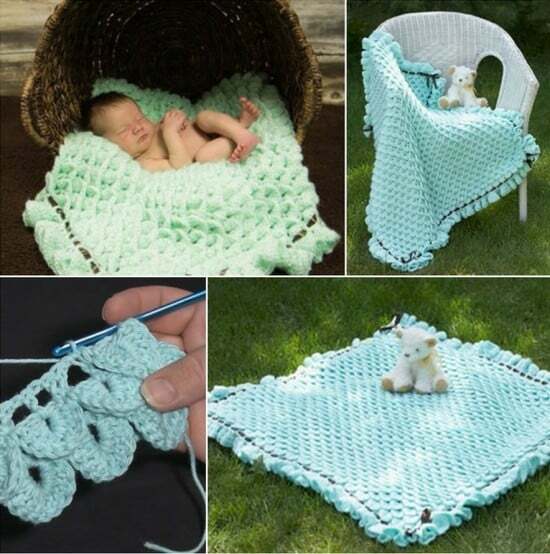 This gorgeous layered stitch makes up this beautiful Crochet Crocodile Stitch Baby Blanket Tutorial. 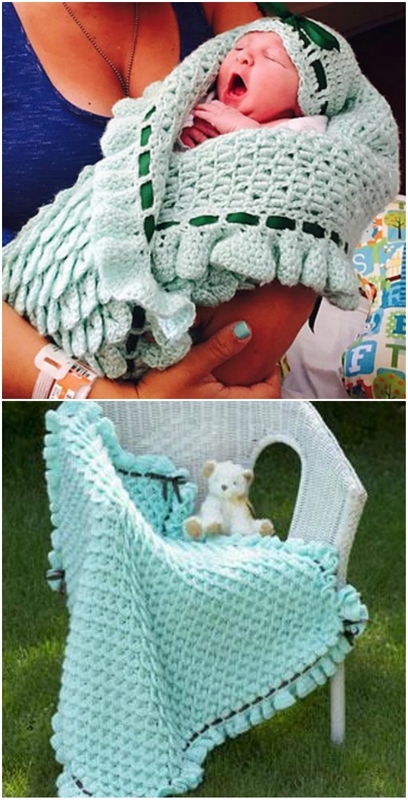 It’s warm and soft and looks just fabulous in a crib or stroller. 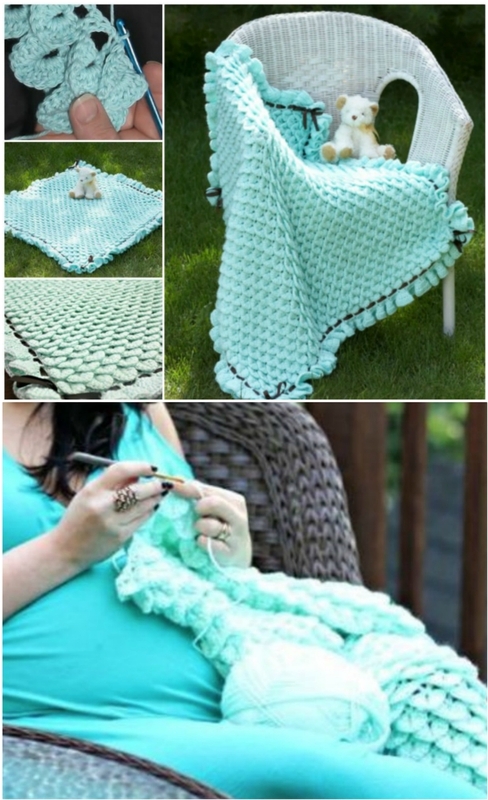 Learn how to make this blanket now. It will be a piece you will treasure. We have included a video tutorial from Yarnspirations and Mikey from The Crochet Crowd. You can follow along with the video, or grab the written pattern below. This pattern is more appropriate for the Intermediate Crocheter. It is a free pattern and available on the Ravelry website. Here’s a photo from the Ravelry Members gallery showing a completed blanket. As you can see, the detail is truly exquisite.